Hi all! 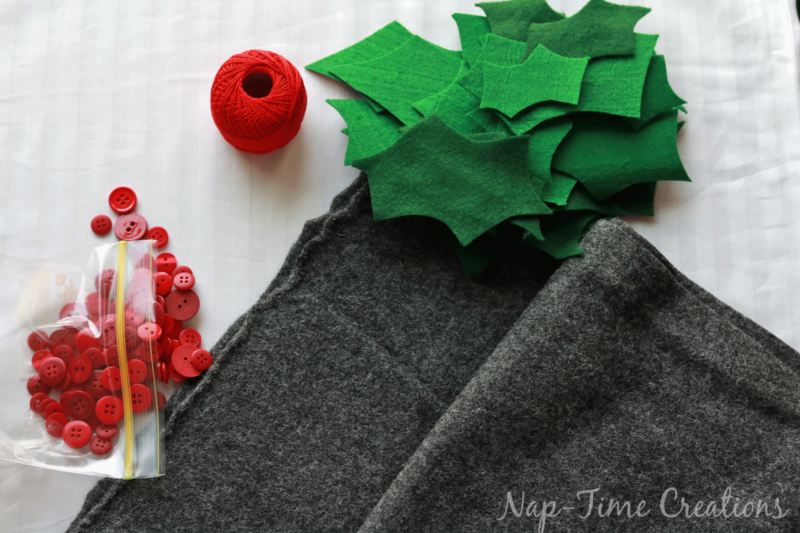 I’m so excited to be participating in the Handmade Holiday blog hop today with this felt Christmas table runner. 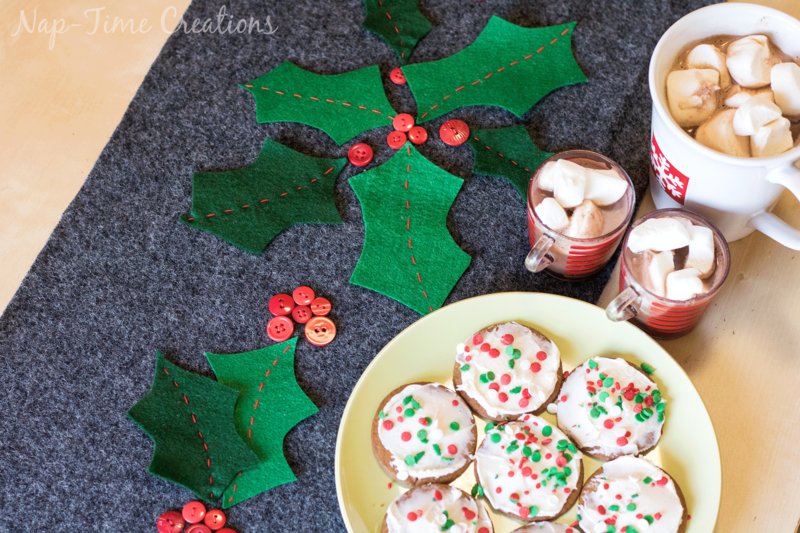 There are loads of amazing Christmas home decor ideas that are being posted today. 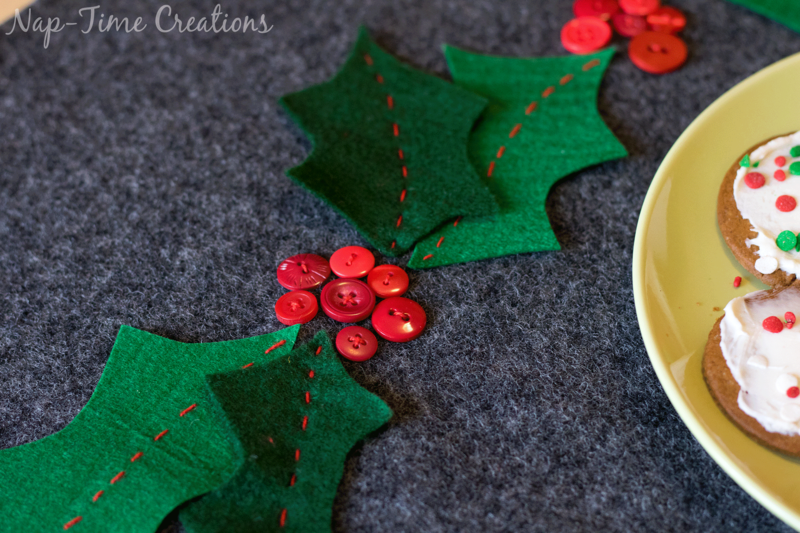 I’ve got a super cute Christmas Felt Table Runner to share with you and be sure and scroll down for the complete list of projects posted today. ALSO… don’t miss the great GIVEAWAY we have for you at the end of this post. 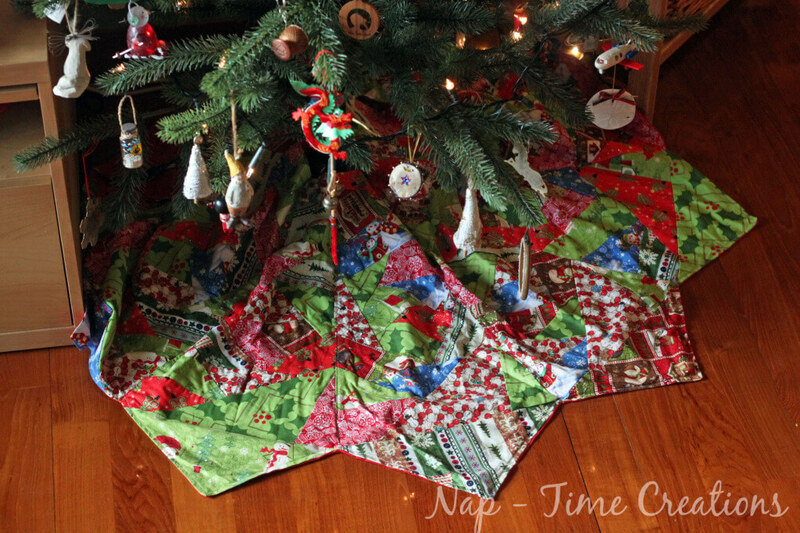 I’m so thrilled with how this Christmas felt table runner turned out. It was a a fun hand sewing project that anyone can make! 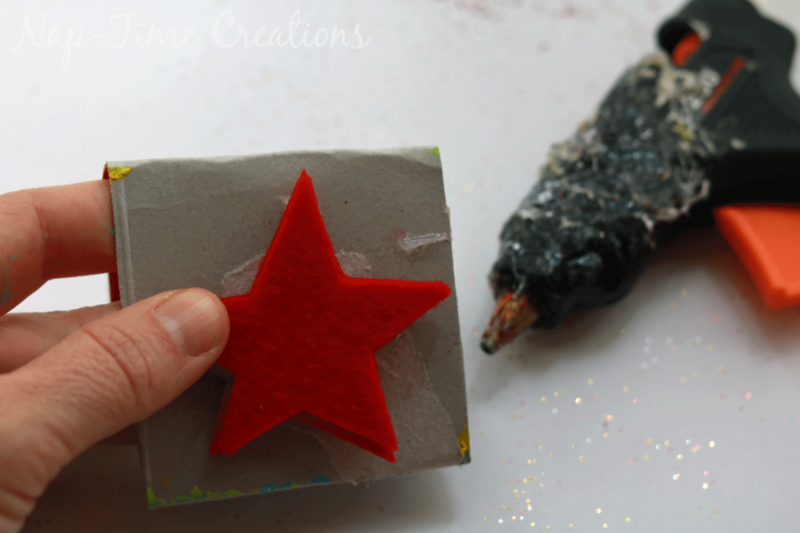 The supplies are easy to find and this is a great way to add some festive color and fun to your table. 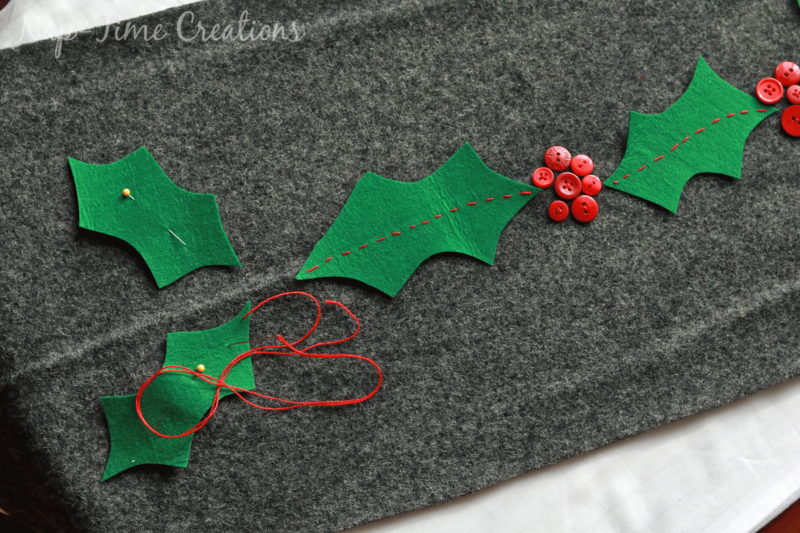 The runner is made from wool, felt holly leaves, thread and a variety of red buttons. 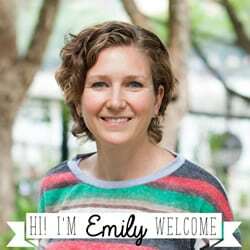 Each product is linked to where you can buy it for a great price! 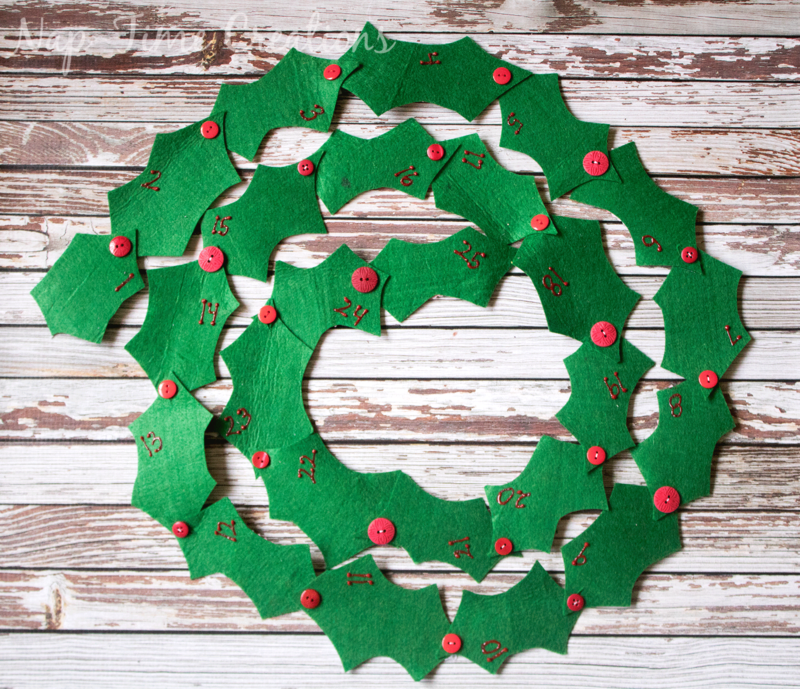 I’ve also shared the holly leaf template if you scroll down. 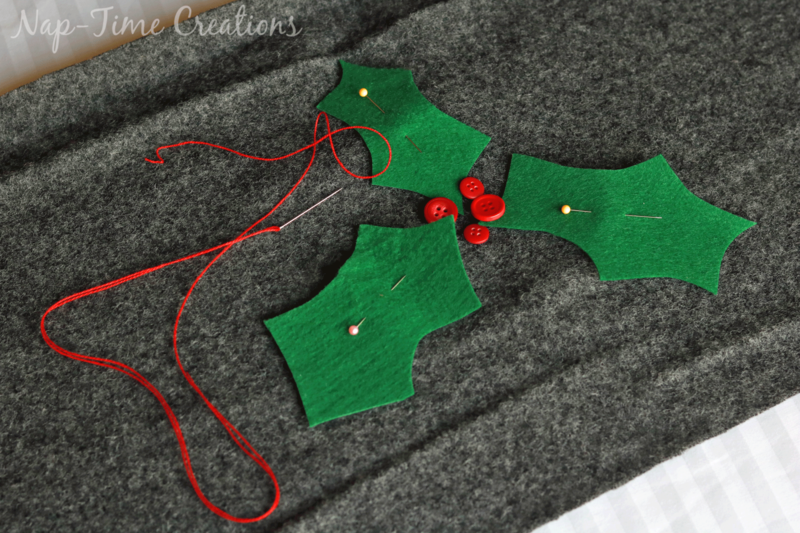 I used red thread for the leaves and buttons, but you could also use green if desired. 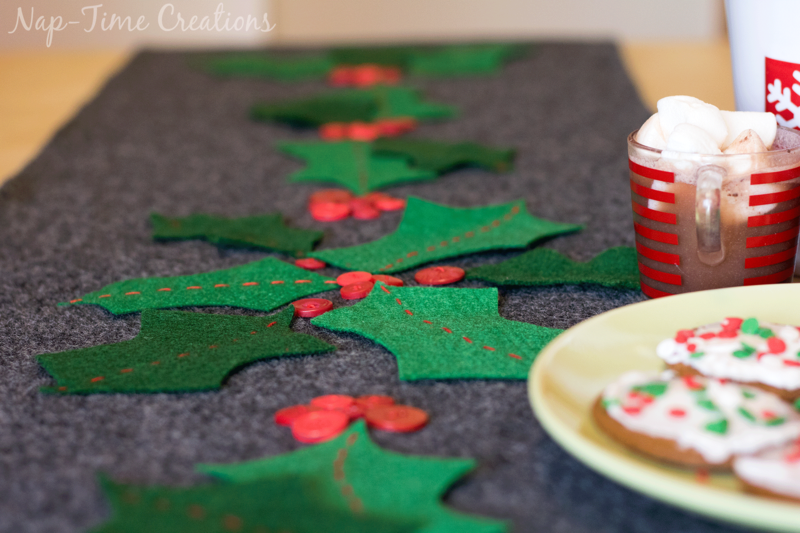 The Christmas felt table runner will be a great addition to your home table for the holiday season. From there I found the very center of the runner. Then… I laid out the leaves in a triangle fashion. 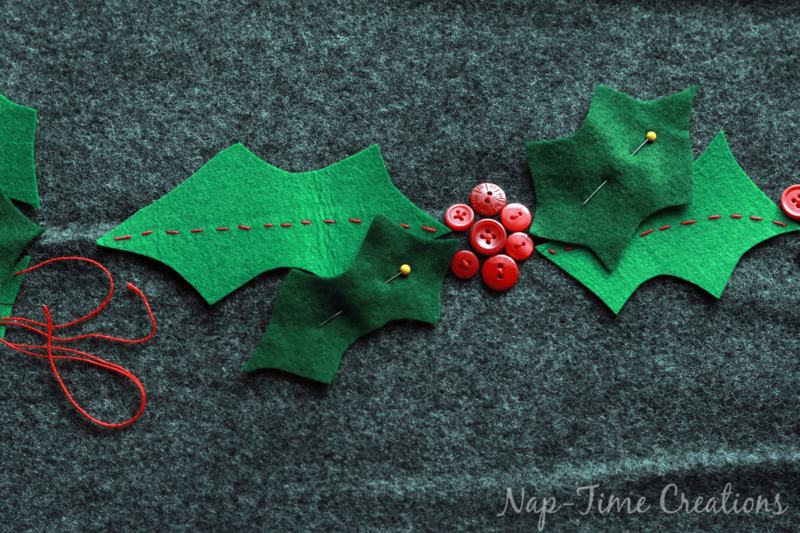 Sew several buttons in the middle of the leaves. Stitch down the center of each leaf to attach. I created a second layer of leaves to complete the center of the table runner. From the center I worked a narrow pattern down each side. You can copy my design or create your own. I finished both ends of the runner with V of leaves. I started with these light green leaves, then added the darker green holly for texture. 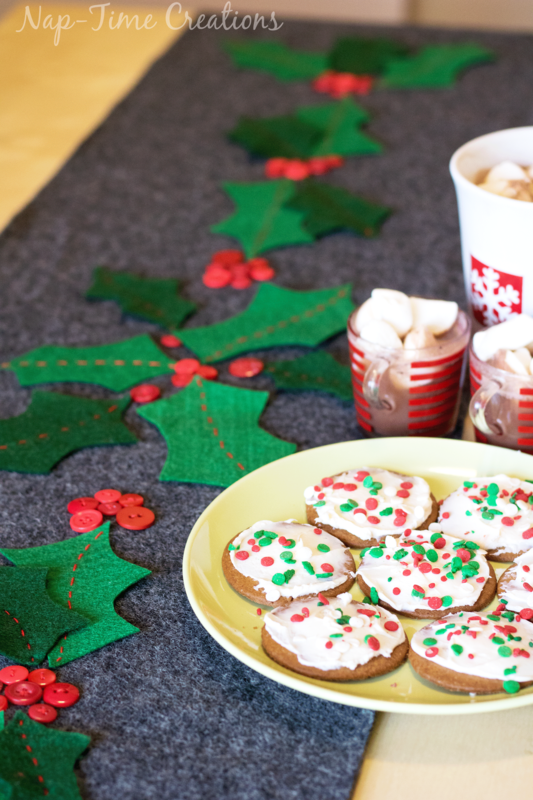 Place this runner on your table end enjoy some cookies and cocoa and Christmas music! 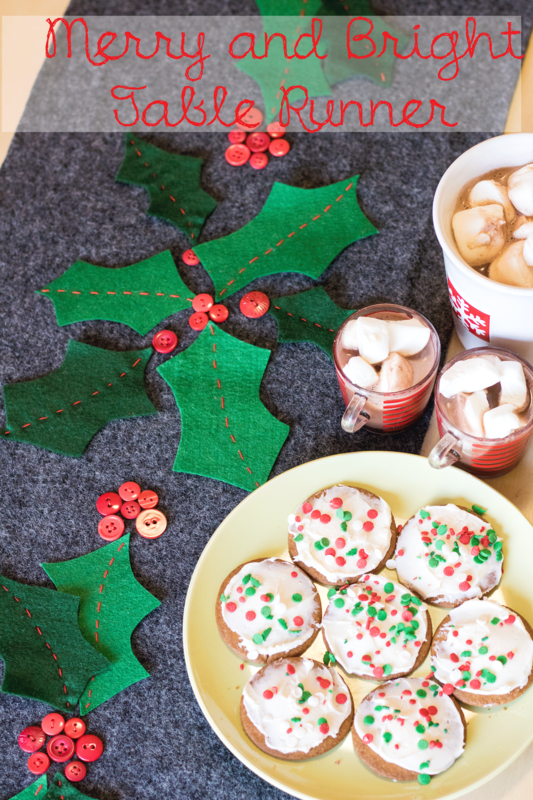 This will be going on our table the day after Thanksgiving! 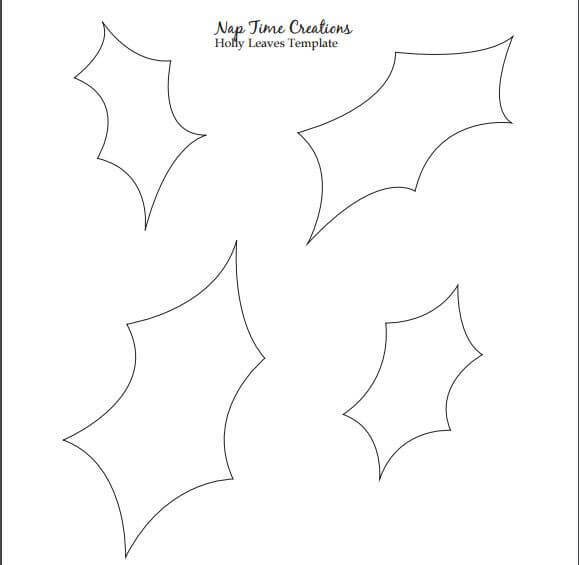 You can download my holly leaves template <HERE> or find/draw your own. 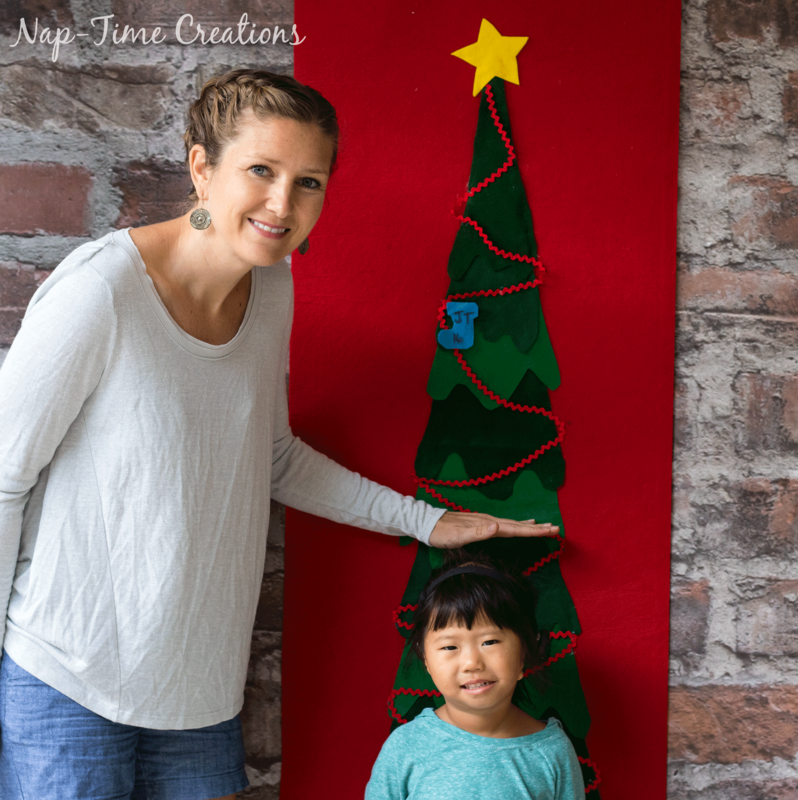 Here are some other fun Christmas projects..
Beautiful work! I love how the red string and buttons pop against the grey background. I love this so much! The bright green and red of the holly is so pretty on the dark background. Great work! 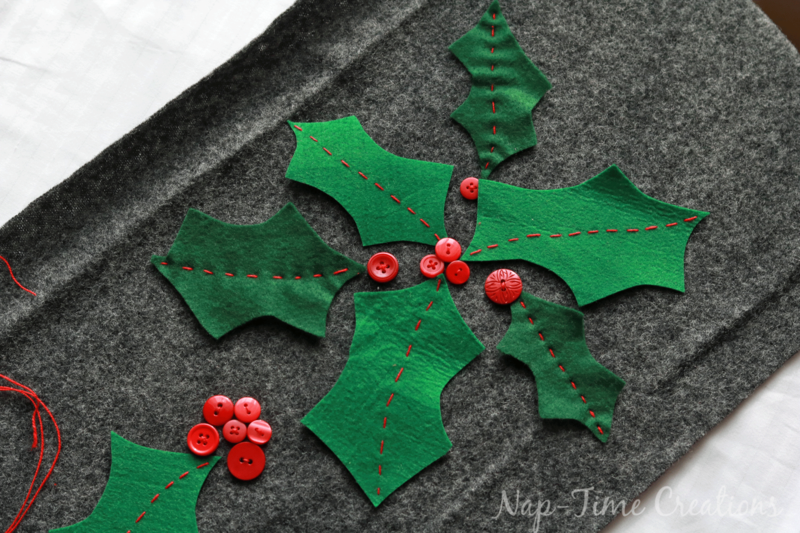 Beautiful table runner–love the buttons and that it is made of felt.